With an opening of an ultra-modern business aviation center in September 2015, FBO RIGA continues to push for better customer experience. The center is the biggest in the Baltics and one of the biggest in the EU. 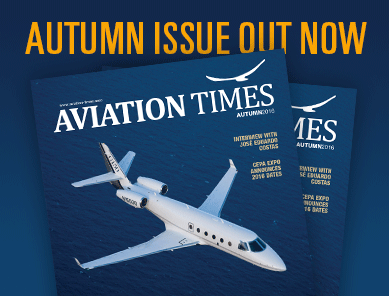 It highlights the growing significance of Riga Airport as a business aviation hub for the Scandinavia and Baltic region. The construction started in 2013 at a cost 12.5 million Euros. The business aviation center has a 1200 square meter business aviation terminal and an 8400 square meter heated hangar for both fixed wing and rotor craft. There is an adjacent car park, an apron with parking stands for private business jets, and a helipad. 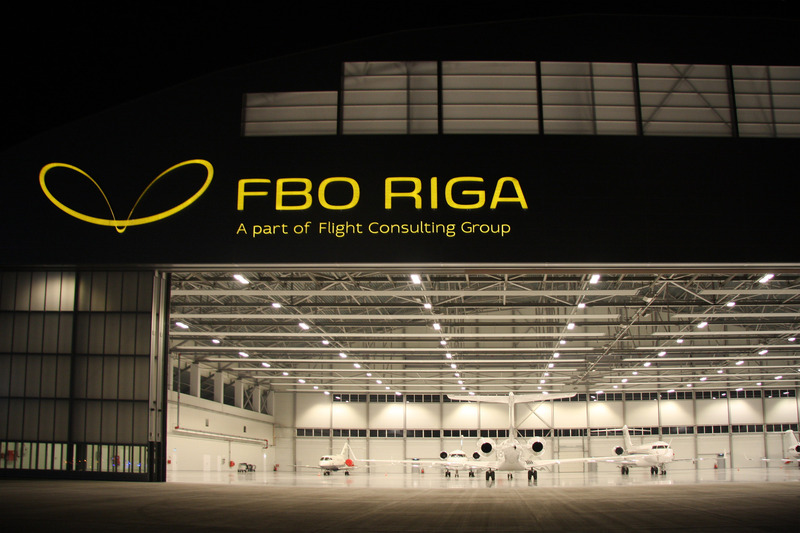 FBO RIGA co-owners Roman Starkov and Leonid Gorodnitski stated that the company undertook this development with the huge potential of Latvia as an aviation hub in mind. There was a need for these services owing to the geographical location of the country. Latvia is strategically located and is accessible by flights from Asia en route to southern and western Europe. The opening of the business aviation center FBO RIGA created an opportunity to offer ground handling services such as terminal services for passenger boarding and landing, hangar for fixed and rotor aircraft parking, apron parking for flight stop over servicing, crew facilities for R&R, catering for passenger and crew, de- icing and anti-icing, full service by a fully equipped service station, aircraft cleaning and washing. Flights can access full ground handling services including refueling, watering, loading of meals and drinks, parking of aircraft in the hangar, and cabin cleaning. Passenger services include passport and customs clearance, flight check-in and more. Private jet owners have access to station and store their aircraft at the aviation center. The company claims to have a personalized business service for private jets. Within the first 8 month of opening the aviation center, FBO RIGA handled over 1000 flights and 2000 passengers. The terminal is able to handle both light aircraft such as Premier 1 and heavy jets like the Boeing 707. There flights to major cities in west Europe and Russia; Moscow, London, St. Petersburg, Prague, Tallinn, Kiev, Nice, Geneva, Vienna, Berlin, Zurich. Flights from central Asian countries have also been landing at the airport. The first 8 months saw an increase of 35% in flights. 85% of these were for business purposes. 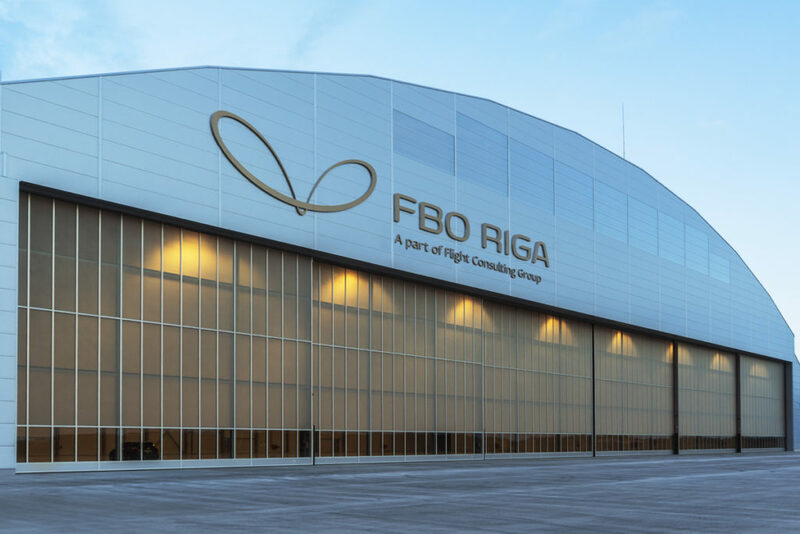 In March 2016, FBO RIGA was nominated for two awards. The first was New Construction award in recognition of the logistics and production the hangar (the first prize), and the New Construction award for the design of Public Facilities for the boutique terminal (the third prize). In April 2016 FBO RIGA was honored in Prague with Sapphire Pegasus Business Aviation Awards, for Handler / Service Provider / FBO as the best FBO in Europe. The nomination was done by over 2000 professionals online. FBO RIGA Center also holds international meetings, presentations, and events. The center has all the trappings of a modern aviation hub. The hangar can easily hold 5 Boeing Jets, or 9 Gulfstream 550 business jets, or 20 Learjet-60 aircraft. The waiting lounges have been tastefully done. The interior design was done by Zane Tetere, one of the most successful designers of Latvia. The ground floor of the building comprises six comfortable sitting areas, a VIP Lounge and a VIP meeting room, a bar, and an art gallery. The first floor of the terminal houses a conference room and offices. A separate space is occupied by FCG OPS, a certified 24/7 flight operations control center, supporting more than 90 business jets performing daily flights across the globe. Connecting flights from Asia to Europe or America have found a convenient stop over, clearing ground handling that requires one hour in less than 40 minutes of an aircraft being landed. This is a service possible only in smaller airports. Flight crews have been able to handle tasks easier as aircraft can taxi up to the terminal for easier loading, boarding and refueling. Ground personnel have managed to reduce the handling time per aircraft with this facility. The lounges have been separated for security and convenience. Flight crews have access to their own lounge and can hold briefings in meeting rooms. There are also service rooms for refreshing and relaxing. Share the post "FBO RIGA: Opening new Fronts"